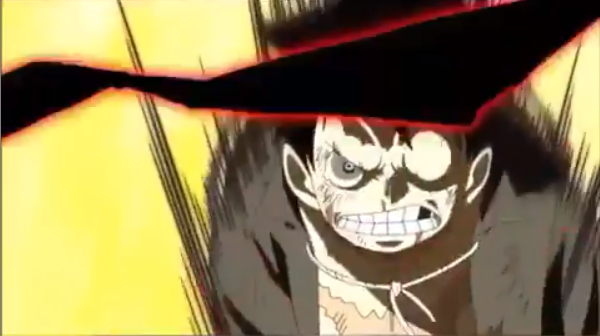 One Piece's Whole Cake Island arc has set a new stage for the fight between Luffy and Katakuri, and although it seems like the fight has set up a number of new stages lately, this newest stage comes with a new power for Luffy.After trying and failing to harness the Observation Haki in the same way as Katakuri, the preview for the next episode teases that Luffy will finally be able to use it in the fight and turn the tables. The Episode 869 of the series is titled, "Wake Up! The Color of Observation Able to Top the Strongest!" that preview for the episode teases that Katakuri once again has taken control of the fight and is pushing Luffy back at every turn. But which seems that during the fight he will relive another training moment with Rayleigh once more, and is doing much better at dodging his attacks. The preview then sees Luffy in the memory which calm his mind while a red outline highlights his face. Then, toward the end of the preview,that does it once more so this could be a hint at the anime's version of the Observation Haki. It's been shown as red when Katakuri activates it, so it could be Luffy doing the same.